Mr. McDougall has served as a member of the Board since 2003 and as Lead Director since January 2014. Mr. McDougall served as Chairman and Chief Executive Officer of Boise Cascade, LLC, a privately held manufacturer of wood products, from December 2008 to August 2009. He was President and Chief Executive Officer of Willamette Industries, Inc., an international forest products company, from 1998 to 2002. 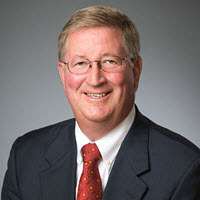 Prior to becoming President and Chief Executive Officer, he served as Chief Accounting Officer during his 23-year tenure with Willamette Industries, Inc. He also served as Chairman of the Board of Boise Cascade until April, 2015 and serves as a Director of StanCorp Financial. Mr. McDougall has also served as a Director of West Coast Bancorp, a position from which he resigned effective December 31, 2011; as a Director of Cascade Corporation until its sale in 2013; and as a Director of several non-profit organizations. Mr. McDougall brings executive leadership and accounting and financial reporting expertise to the Board.